Backpacks for schoolchildren are among the charitable works of the Indiana Members Foundation. The Indiana Members Credit Union raised more than $20,000 for the cause at its January bowl-a-thon. 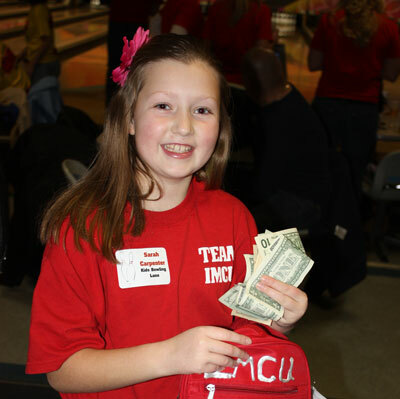 Young Sarah Carpenter shows off an IMCU backpack and some of the bucks the bowlers brought in at the credit union’s annual fundraiser.